AudioLogic Hearing is an independent audiology and hearing aid clinic offering premium hearing care to adults and children. We offer our clients a wide range of hearing aid brands because we are not owned by a hearing aid manufacturer nor part of a large hearing aid retail chain. Our clients receive a very thorough service from professional, personable and caring staff. At AudioLogic Hearing you will receive after sales service and ongoing care and maintenance which is paramount for a successful hearing aid fitting and to ensure you receive the maximum benefit from your hearing aids. Michelle Pasinati from Audiologic visits our practice once a month on a Monday. Darryl is a qualified and experienced counsellor. He works with the concerns of individuals, couples and families, to help when you get stuck and are unsure how to deal with the challenges of life. He assists with the development of personal resources required for resolving or coming to terms with the issues or difficulties. Darryl offers an emotionally warm, safe and confidential environment. To make an appointment call 0430 442 422 or visit their website for more information. Kerry is a credentialed diabetes educator, registered nurse and clinical researcher working in diabetes for over 10 years. She provides diabetes education and ongoing support for people with Type 1& 2 or Gestational diabetes. Kerry is also able to assist patients with initiating insulin or other injectable diabetes medications and provide ongoing titration if approved by the patients GP, supporting the patient via text or email. Her clinical research has provided her with an excellent background knowledge of diabetes medications, their actions and how to assist patients with meeting recommended targets and helping patients achieve their goals. Kerry strives to provide a positive encouraging environment to meet the challenges of diabetes and its complications. She continues to work in clinical research and also as a nurse at the Angliss hospital to maintain her nursing skills. Kerry visits Emerald Medical Centre once a month. To make an appointment call 5968 4622. Loren consults once a week on Tuesdays. To make an appointment call 5968 4622. Cardiolab visit the Emerald Medical Centre once a month on a Tuesday. They provide bulk billed echocardiograms which is an ultrasound scan of the heart essential to analyse heart muscle function & heart valve disorders. You will need a referral from the GP for this service. To book an appointment, please call 5968 4622. Amy Page joined Emerald Medical Centre in 2015 as the practice pharmacist. She provides input and support for the quality use of medicines. She provides Home Medication Reviews, a service where she visits people at home to talk about their medicines. Home Medicines Reviews help people to get the most out of their medicines, and to ask questions about their medicines. When Amy is not at Emerald Medical Centre, she is working at the university as a teacher and researcher. Her research area is the quality use of medicines among older people particularly those with dementia. Her PhD was titled “Too much of a good thing? Continuing and deprescribing medications for older people”. She continues her research in the medication management of chronic disease. Amy enjoys her work teaching, where she supports practitioners develop their skills, particularly in evidence based practice and undertaking medication reviews for older people with multimorbidity and polypharmacy. For more information on Amy, please refer to her website. 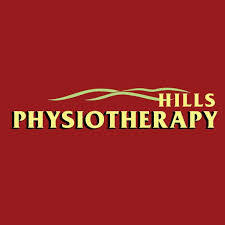 Hills Physiotherapy is committed to offering the highest quality in Allied Health Care, with experienced therapists providing a range of complementary medical services. All of our clinicians offer focused, one-on-one service aimed at delivering results today. We work WITH you, the patient, to address the cause of your pain or dysfunction, so that you can become independent of our services and pain-free long term. Hills Physiotherapy has a team of physiotherapists and an Orthotist that practice at Emerald Medical Centre on Monday, Wednesday and Thursday. To make an appointment call 5968.3030 or visit their website. At PridePlus Health we know your health is important to you. It’s important to us, too. And we understand your healthcare is better when we work together. We’re your dedicated team of Allied Health professionals who listen first, before we assess, diagnose, treat and educate. Book at Emerald Medical Centre on Tuesday, Thursday or Saturday by clicking here. Tim has interests in general foot care, chronic wound management, high risk foot, preventing falls, maintaining balance, musculoskeletal pathologies & prolotherapy. Tim accepts general self referrals or those from a chronic disease management plan or diabetic care plan. Tim works at Emerald Medical Centre on Tuesday afternoons. Book in at Emerald Medical Centre on 03 5968 4622 or click here. Tanya has interests in general podiatric care, diabetic foot management & prevention, ingrown toenails, injuries & paediatrics. Tanya accepts general self referrals or those from a chronic disease management plan or diabetic care plan. Tanya works at Emerald Medical Centre on Thursdays. Book in at Emerald Medical Centre on 03 5968 4622 or click here. Ryan works at Emerald Medical Centre on Saturdays. Book in at Emerald Medical Centre on 03 5968 4622 or click here. The Emerald Psychology Practice is a community based psychology service. We provide comprehensive therapeutic services in a safe and comfortable environment. Our psychologists have a range of expertise to meet the needs of our clients. All psychologists are registered with the National Psychology Board of Australia and trained to provide evidence-based treatment. The Emerald Psychology Practice promotes and values a client-centered approach and understands the challenges people face when experiencing psychological issues. To make an appointment ring 0478 125 865 or visit their website.